Inside and outside traffic lights represent a reasonable completion of the docking station. It is recommended to provide the loading station not only with a wheel chock but also with a traffic lights system. 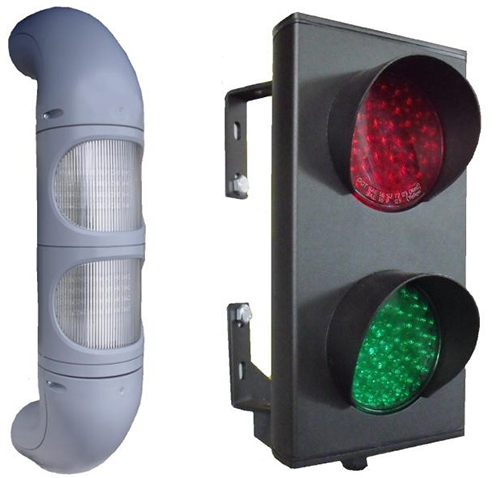 PROMStahl type PBEA traffic lights systems assure communication between the lorry driver and the warehouse staff. They show the driver when the docking station can be approached and left safely. The traffic lights are connected to the PROMStahl control unit and adjustments/programming can be adapted to your individual requirements.